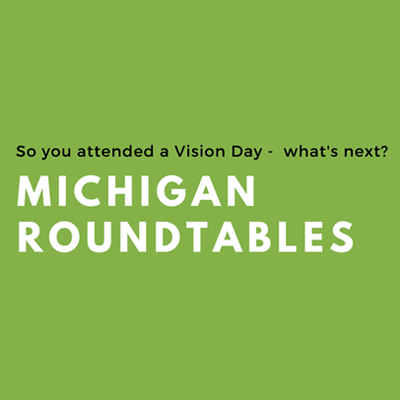 If you attended a Vision Day, follow up with a Michigan Roundtable session. Ask in-depth questions about the concepts, theological foundations and the developmental process of fresh expressions. Envision the implications of fresh expressions for your specific congregation and community. Receive up close and personal guidance on how to take next steps on your fresh expressions journey. For more information, dates, times, and locations, please download this information sheet: Michigan Roundtables Spring 2019.